We are a culture of flavors! We like our ketchup, mustard, mayo, hot sauce, and dressings…anything to flavor up our meals. The real questions is, are they good for us? 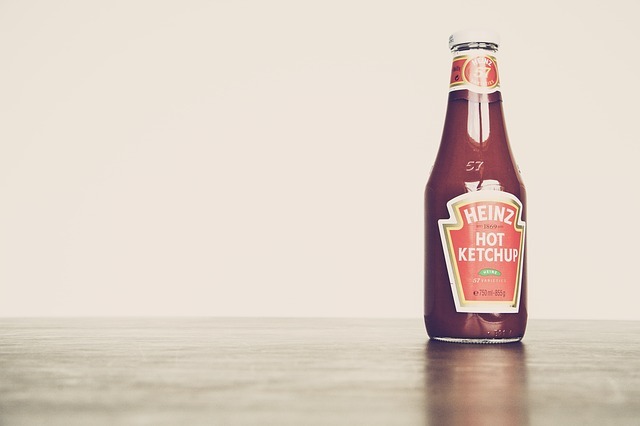 Sadly, the majority of popular branded condiments are full of ingredients that not only can, but do, hinder our bodies from functioning ultimately. Hidden in the lines of ingredients are soybean oil, canola oil, vegetable oil, high fructose corn syrup, and sugar. This includes organic products as well. I want to state something for you to remember: just because it says “organic” on the label does NOT mean it is a healthy condiment. In fact, most organic condiments have organic soybean oil, organic canola oil, and/or organic cane sugar. For example, let’s talk about a popular organic mayonnaise from Spectrum. Many people looking for organic products would see the label and read that they use “cage-free eggs” in their product and that they are “gluten-free.” Sounds great, right? Well, let’s turn the label around. Though it’s wonderful that they use cage-free eggs in their product, we have to look at the very first ingredient listed: organic expeller pressed soybean and/or canola oil. Disgusting! By adding these fake and unhealthy oils to their mayo, Spectrum is devaluing the healthy ingredients within the product. This automatically would take this mayo out of the good choice running. How about salad dressing? Let’s be honest… even though there are a medley of wonderful natural flavors in veggies, rarely do we sit down and eat plain, non-dressed salad. I read and evaluate multiple food sheets a day, and can probably count on one hand the amount of salads people consume that are dressing-free. Even I love the added pizzazz of salad dressing. The bad part is, most salad dressings are loaded with chemicals and sugar! The first few ingredients on most Hidden Valley, Newman’s Organics, and Annie’s Naturals dressings are vegetable oil (soybean/canola/vegetable) and sugar. Ironically, the base of the Newman’s Olive Oil and Vinegar dressing isn’t olive oil at all (though it is included). The base is actually vegetable oil. You want to be careful of your Frank’s Hot Sauce, Heinz Ketchup, and even some mustard too! All contain some form of sugar. WATCH and READ the labels!! All of these processed ingredients are wreaking havoc on your digestive system and putting added pressure on your liver. Obviously, this is not the goal while eating clean, healthy foods. Remember, every chemically-derived item you put in your body can hold you back in the healing process. The idea behind food is to nourish your body, not cause it more stress. Also, remember the great option of making your condiments at home! There are so many great recipes for ketchup and mayo that are quick, easy, and preservative-free! And for salads, mix some olive oil and white balsamic vinegar and spices…delicious!!! Kate is an Associate Clinician at the Well of Life Center for Natural Health. The Well of Life Center is a holistic wellness center that specializes in nutrition, chiropractic, massage services, and more. Celebrating their 11th year in business, the Well of Life Center has locations in Doylestown and Bethlehem, PA. For more information, please visit welloflifecenter.com.